My favorite curse word is SEO. Well, maybe not my favorite, but SEO is like politics or religion. Bringing it up is never a good idea. Since we like to push the envelope a little around here, here goes nothing. In case you’ve been living under a rock, SEO stands for search engine optimization, which, in a nutshell, is something you need to be pretty good at in order to get search engines to show your site in results for specific keywords. I’ll make it simple for you. When you type into Google “Best Virtual Assistant Minneapolis,” I want AngCo to be the first website that shows in those search results. At the moment, it isn’t, though the insertion of those keywords in my last sentence will help a little bit. For now, LinkedIn holds the #1 spot. There are tons of things you can do to rank higher, like link building and listing your site in trustworthy directories. 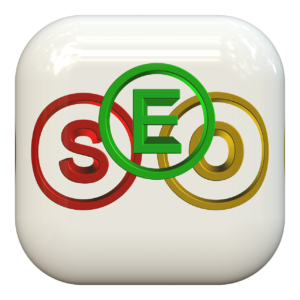 Linking within your own site (backlinks) as well as getting others to link to your site will help. However, updates a few years ago had Google penalizing websites for too many links to other sites, so many site owners started using “no-follow” links so as not to pass any “juice” to someone else’s site. Broken links are also bad, so if you had linked to someone in the past and they removed the page you linked to, Google could penalize you as well. Confused yet? More than anything, if you want to properly optimize your site for search engine traffic, you’ll need time. I was once approached by a man who asked, “How much will it cost me to get on the first page of Google results?” It’s just not that simple anymore. You don’t write a check and get preference. It can take many months — sometimes years — of link building, savvy content writing, and trial and error to rank higher. It’s not something you just pay a one-time fee for. Ranking high takes time, time, and more time and monitoring. Even after you commit years to it, enormous sites like LinkedIn will probably still be at the top, though you’ll be closer. So how does an entrepreneur keep up with this stuff? If you need help figuring out why you’re not ranking as high as you want to, let’s talk. We’re offering a new service here at AngCo – a search engine optimization report. The report will tell you how your site ranks, as well as provide suggestions for making it better, all for less than fifty bucks. Once you see where you stand and what tactics can help your site to rank higher, you decide what you want your next step to be. No hard sell. No gimmicks, no drama.